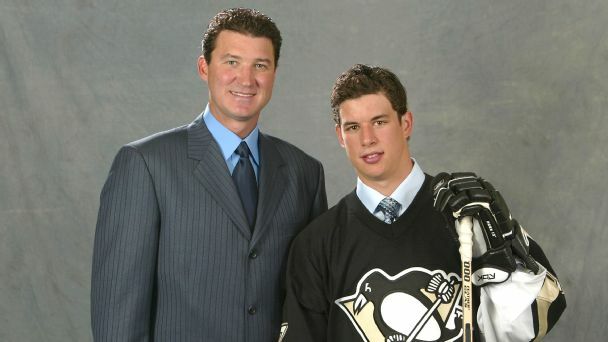 Roundtable: Who is the greatest Penguin -- Sidney Crosby or Mario Lemieux? Sidney Crosby broke Mario Lemieux's mark for career postseason points. Has Sid the Kid also surpassed Super Mario in the pantheon of Penguins greats? 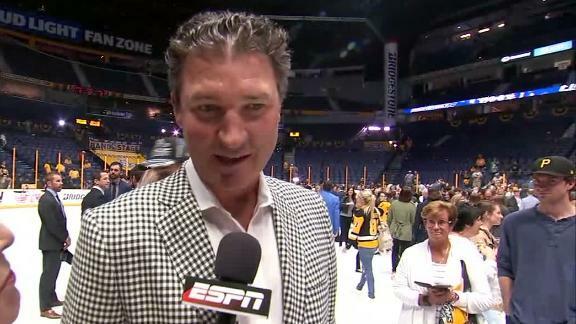 Penguins owner Mario Lemieux explains to Linda Cohn why Sidney Crosby was a major reason the Penguins won the Stanley Cup again this year and how good of a job Mike Sullivan did coaching this team. 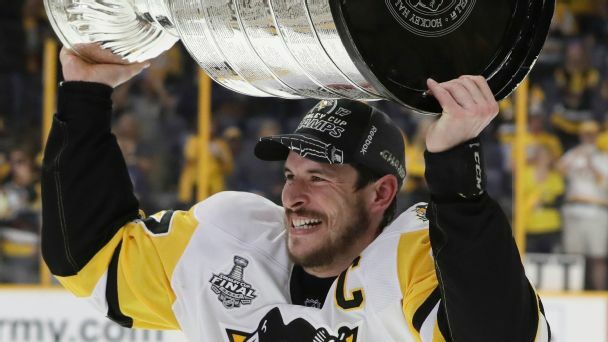 The evolution of Sidney Crosby has not been without bumps along the way -- the concussions, the accusations of being a whiner -- but after his second straight Cup and Conn Smythe, there's no doubting that his legacy is cemented. Can Crosby top Lemieux's legacy in Pittsburgh? 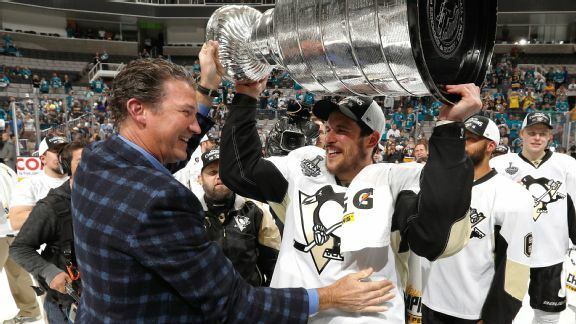 If Sidney Crosby were to win a third Stanley Cup, he'd have one more than Penguins legend/savior Mario Lemieux. But surpassing No. 66's status in Pittsburgh is about more than trophies. The Penguins are chasing another repeat championship. 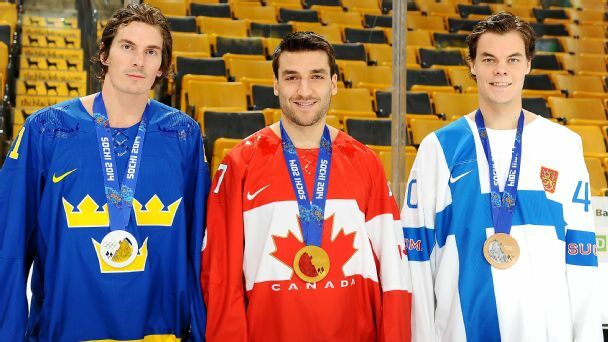 Sidney Crosby & Co. share many similarities with their hallowed predecessors from the early '90s. 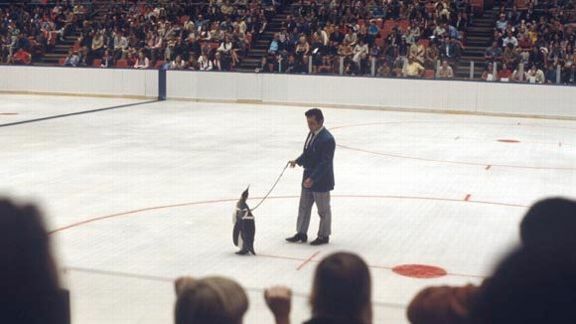 Before they became a civic institution in Pittsburgh and landed Mario Lemieux, the Penguins were a humble expansion franchise with an ill-fated live mascot and loud, loyal fans. Never mind all the bargaining tactics, the rhetoric and the grandstanding: The NHL and its players will be participating in the 2018 Winter Olympics in South Korea. Book it. The collision of current and future legends doesn't happen often. 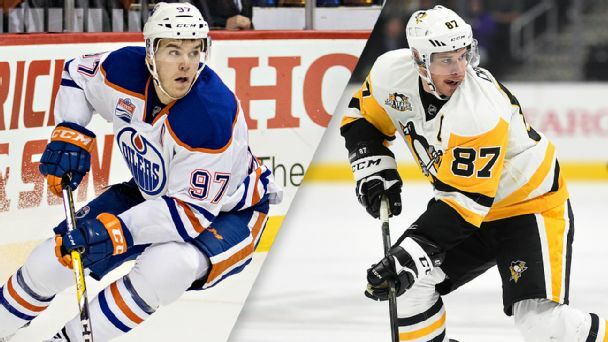 So when it does -- like Tuesday's clash between Sidney Crosby and Connor McDavid -- we need to make sure we appreciate it. Will Canada-Russia clash reignite rivalry? 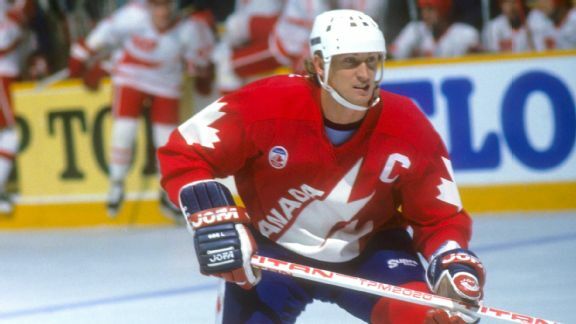 Russia and Canada could add another epic chapter to their rich rivalry when they meet in the World Cup semis, some 29 years after they faced off in a Canada Cup series that still reverberates.